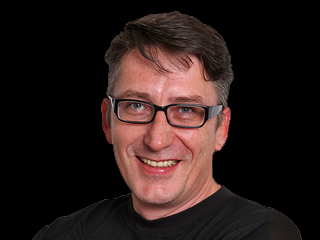 Darren Maule was born in 1972 and went to school in Johannesburg and Potchefstroom. Three years of formal training at Pretoria Technicon started his career in the entertainment industry. Darren Maule started his career soon after graduation. Daren Maule is an actor and a stand-up comedian and is best known for the role he played as Grant Fletcher in the SABC 3 drama series called “Hard Copy”, hosting the SABC 3 game show called “Out the Box” and he hosted the daytime game show called “Play TV” from 2003 until 2005 on SABC 3. In 2006, he also played the role of Jack in the made-for-TV movie FHM Sexiest Woman in the 2006 World that aired on M-net. In 2007, Darren Maule was cast as the lead role for the sitcom on SABC 3 called “FONT” that was premiered in October. Darren was one of the contestants’ panellists on SABC 2 game show called “Where are you?” from August to November in 2008. 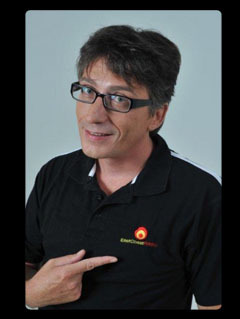 In 2009 Darren Maule hosted the late-night talk show “Last Say” on SABC 3 and he was a celebrity contestant on Survivor South Africa: Santa Carolina in 2010. Darren Maule with his talent in master story telling hosts “The Breakfast Stack” between 6am – 9am on week days since July 2011. He is on the air every weekday morning on the East Coast Radio (ECR). He enhances his story telling with wonderful imitations and impersonations and keeps the audience across the airwaves in KwaZulu Natal captivated. Darren Maule was featured on the Comedy Central Presents – Live at Parkers in November in 2012. Darren Maule has also appeared on the Comedy Showcase and Comedy Express Video and he works nationwide at Comedy Express Venues. After specialising in physical comedy for 10 years, he shifted his focus to stand-up comedy and in a few short years has established himself as a top South African comedian. Darren Maule is involved in the search for new comedy venues and organising open mic evenings so that new comedians can have the opportunity to test their skills in front of an audience. Darren Maule is well known as a person who can play a serious role in a television series, be an MC at black tie events, chair a game show or stand in front of an audience in a smoky room and make them laugh so hard that their sides hurt.